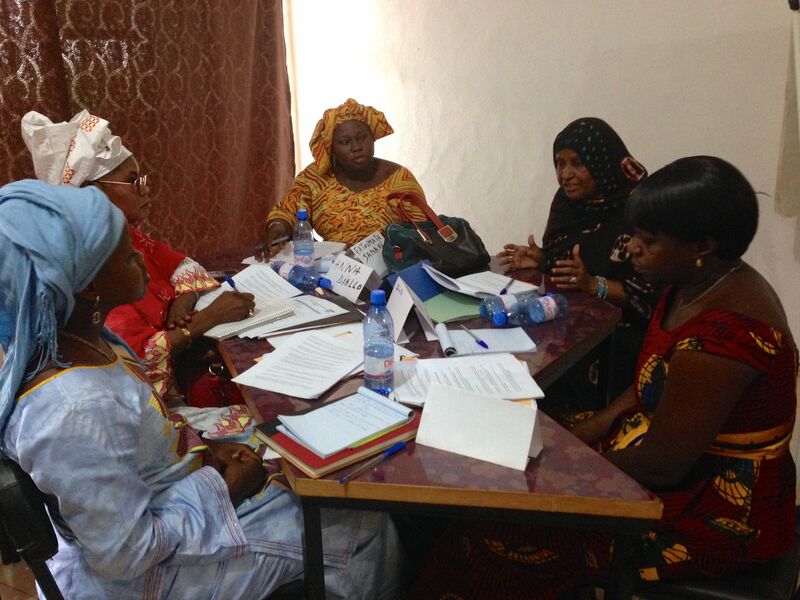 Charney Research » INTERNATIONAL DEVELOPMENT: RESEARCHER’S DIARY – HOW DO YOU TEACH MALIAN WOMEN TO RUN FOCUS GROUPS? INTERNATIONAL DEVELOPMENT: RESEARCHER’S DIARY – HOW DO YOU TEACH MALIAN WOMEN TO RUN FOCUS GROUPS? OK, I’m feeling a bit intimidated. The women in front of me are stone-faced and look completely aloof. Will they like me? Am I going to bore them? A day earlier, I had arrived in Bamako, the capital of Mali, to conduct a five-day training session for these women on the art of conducting focus groups. I was working as a consultant for the National Democratic Institute (NDI), an NGO headquartered in Washington, DC that works to support and strengthen democratic institutions and practices in countries around the world. I was in charge of a study designed to help policymakers in the country better understand women’s attitudes and opinions toward their social and political roles. The first step was to train local women, all university graduates with varying types of experience, to conduct focus groups so that they could carry out a 12-group study in various locations throughout the country. Over the previous four years, I have conducted training workshops for NDI in other countries, including Sudan, Burundi, and Angola. I always have to conquer a reflexive feeling of apprehension about the apparent lack of eagerness of my trainees and remind myself that the first day almost always starts like this. I have rarely encountered the peppy enthusiasm that is so prized in American culture upon any first encounter with a group in the various countries in Africa where I have worked. I’ve come to learn that the austere expressions and seeming lack of verve are simply expressions of shyness – with each other, since trainees typically do not know one another – and toward me. Happily, though, I’ve also discovered the serious demeanor always fades away once we start working together. By the end of the first day in Bamako, the trainees and I were laughing and joking with one another, and they were eagerly helping me out whenever I had trouble landing on the right word in French to express what I wanted to say. Reaching that level of comfort requires a bit of work on my part, however. A warm-up exercise is essential for getting off on the right foot. At the start of the workshop, I pair up the participants and have each interview the other on non-threatening topics such as their educational and professional backgrounds, favorite hobbies, the place they’d most like to visit, etc. Subsequently, each one presents the other to the rest of the group. Not only does this exercise mitigate some of the initial shyness, but it also allows me to get to know a bit about each participant and gives me information I can refer back to later on to help create a bond with each of them. Another essential element of the workshop is practice time. Rather than spending most of the week lecturing the trainees on how to conduct focus groups, I have them learn by doing. Once I give them initial instruction and important tips, each trainee stands in front of the group in the guise of moderator and asks two questions from the discussion guide while the others act as mock focus group participants. After each turn, the other trainees evaluate the moderator’s performance (strong and weak points). I insist that we always start each evaluation with the strong points, and, of course, I also offer my own critique. On the last day, we invite “real” people to act as mock participants, and I have the trainees that I’ve identified as the most capable conduct the whole focus group while the rest observe. The mock group is also followed by a discussion of the strengths and weaknesses of the moderators. At the end of every workshop I’ve led, I always hear from the participants that watching one another moderate and listening to the critiques are extremely valuable parts of the training. I also use the mock group as a pre-test of the discussion guide, helping to identify any questions that are unclear and assessing whether the guide is too long. The boisterous arguments are always amusing to me (and to all of them), and I love the fact that they’re being so earnest, but sometimes the bickering takes on a life of its own and impedes the discussion from moving forward. And no matter how much I tell them, yes, quarrels will certainly break out from time to time, and yes, you will need to learn how to gracefully put a stop to them, but, in fact, the greatest obstacle you’re likely to face is going to be the opposite – encouraging people to talk in the first place – the mock arguments continue. I get it … it’s fun … but I finally have to put my foot down and ban any further squabbling. It’s funny how this drawn-out altercation role playing has happened in every workshop in every country I’ve worked in. Although I’ve spent most of my career in the private sector, I can say without a doubt that my NGO consulting work in Africa has been the highlight of my career. I am touched by the level of appreciation and dedication that my trainees show for the workshop, and I feel good knowing that I’m teaching them skills that they can use to find future work, as the unemployment rate in their countries, even for educated people, is extremely high. The last day of training, where we hand each trainee a certificate, give concluding speeches, and take photographs is always a treat for me. (In Mali, I even had the chance to engage in some traditional dancing – providing a big source of amusement for my trainees.) After spending a week together working hard, we’ve created a real bond, and I’ve gotten a small window into their world – which I view as a privilege.